Pr. Farid BOURZGUI was awarded his D.M.D. in Orthodontics from Casablanca Dental School, Morocco. He holds a Certificate in Biomaterials Technology (1995), a certificate in Dento facial Orthopaedics (1997) both awarded by the School of Dental Surgery at University Denis Diderot-Paris VII, France, a Master of Science in Biomaterials Biocompatibility from the Faculty of Medicine and Pharmacy of Casablanca (2002), a Certificate in Occlusal Odontology from Casablanca Dental School (2004) and a University degree of Biostatistics and perceptual Health measurement from the Faculty of Medicine and Pharmacy of Casablanca in 2011. Currently, Pr. BOURZGUI is a professor of Orthodontics in the School of Dental Medicine at Hassan II University in Casablanca, Morocco. In addition to his educational qualifications, Pr. 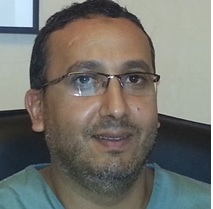 BOURZGUI has been the Head of the Orthodontics and Dento facial Orthopedics Department since 2013, and a member of Casablanca Dental School Council. Pr. Bourzgui has published a number of articles and contributed chapters to a number of books. Pr. BOURZGUI has served on the board of the Moroccan Society of Dentistry, and was the President of the Moroccan Society of Dentistry (2002-2004). He is currently the President of Casablanca Orthodontics Alumni Association.